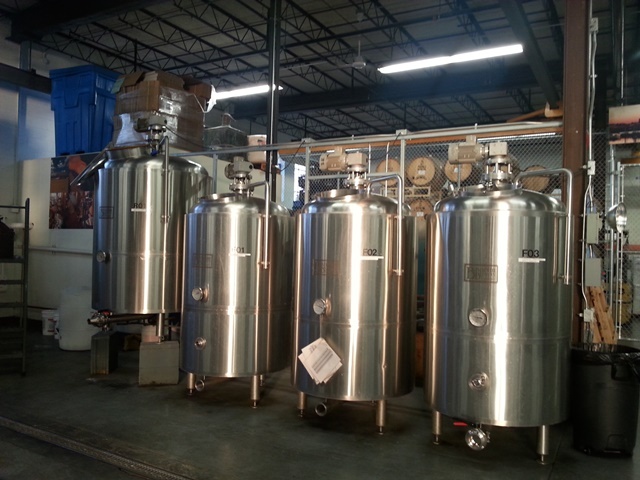 While there’s no shortage of breweries in Milwaukee, Brew City is also home to Wisconsin’s first distillery since prohibition: Great Lakes Distillery. 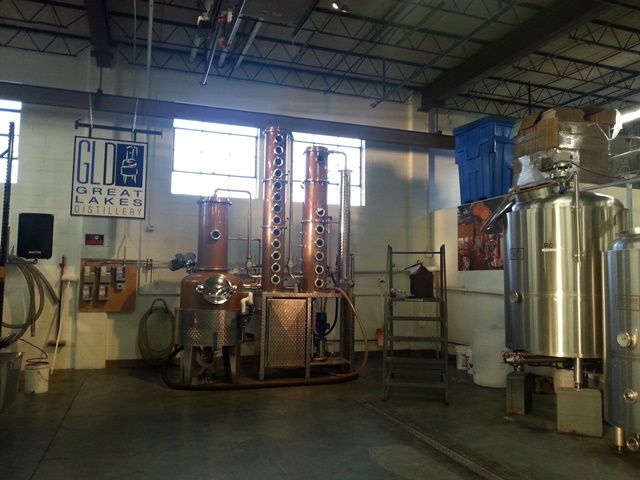 What began as a passion project of manufacturing entrepreneur Guy Rehorst, the Great Lakes Distillery opened their doors in 2006 and currently produces nearly a dozen award-winning spirits including whiskey, gin, vodka, brandy and absinthe. By focusing on old-world methods and small batches, they’ve successfully grown their craft-spirit following in just a few years. The tour takes about an hour and includes a visit to see the still in all her steampunk glory, as well as a tasting flight of 7 spirits. While you’re more than welcome to purchase a cocktail at the bar and bring it along with you, you may want to hold off until the end of the tour. After all, it’s nearing the equivalent of 4 oz. of high proof alcohol in the span of 20 minutes. Our tour guide introduced herself as a former teacher, so I’m sure her child-wrangling skills have come in quite handy when corralling distillery guests over the years. She gave us the inside scoop as to why mass-produced liquor often leaves you with a hangover. It’s all about the tails! When collecting the refined alcohol for bottling, craft distillers at Great Lakes Distillery constantly monitor for quality. Perceptive taste-buds can note minor changes in flavor and alert the team to turn off the spigot when the tails become present. The tails (the flow nearing the end of a batch) have a higher concentration of bitterness and can both change the flavor profile as well as cause nasty headaches. The big producers tend to drain the still pot until it’s nearly empty since they’re focused on quantity and not necessarily quality. By paying attention to these details, it’s easy to see how Great Lakes Distillery has become so popular. Their Kinnickinnic Whiskey has earned multiple gold medals and was also named “Best American Blended Whisky” at the 2013 World Whisky Awards. Blended from their own malt and rye along with bourbon from a larger unnamed American distillery, Kinnickinnic derives its name from an Ojibwe word meaning “what is mixed”. It was great on its own during the tasting but also sweet and spicy in the KK Buck, mixed with ginger beer. Their neutral grain spirits are also gaining in popularity: their Rehorst Gin took double gold at the 2008 San Francisco World Spirits Competition. While I’m not really a vodka drinker, I could also appreciate the Rehorst Citrus & Honey Vodka made with Wisconsin honey, which also earned a gold medal at the 2009 San Francisco World Spirits Competition. Please visit Great Lakes Distillery at greatlakesdistillery.com where you can book tickets in advance and find their up to date tasting hours.